With our Last Minute Special you can book a room the day before or the day of your stay and get 10% off our Midweek or Weekend rates. The Last Minute Special is good for a one or two night stay! Give us a call or when booking online include “Last Minute Special” in the “Special Accomodations” block and we will apply the discount to your confirmation. While we have a policy for a two night minimum stay on weekends we often have availability for a “one nighter” due to extended stays ending on a Friday or starting on a Saturday. So if you can only get away for a single night on a weekend first check our online availability since we do open up rooms for one night stays as they become available. But it may also be worth a phone call to see if anything is available that isn’t showing yet. 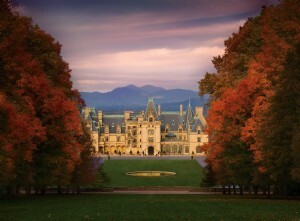 The Biltmore Estate – North Carolina’s most visited attraction! Completed in 1895, George Vanderbilt’s 250-room chateau is as impressive today as it was more than a century ago. Biltmore House is truly a wonder of architecture and hospitality. Take advantage of our special ticket price of $65 each for visits this spring and summer. That’s a savings of $5 to $25 (depending on the date). Also, our tickets are good for two consecutive days which allows you to see everything at your leisure, pace your visit, or dodge any inclement weather. Impress your someone special with our Romantic Package. She (or he) will find gourmet truffles and a dozen roses in your room upon arrival. We do the work and you’ll get the credit!! Our most requested package! You can now schedule a relaxing in-room massage for yourself or your partner with Sherry Fields, our new licensed massage practitioner. 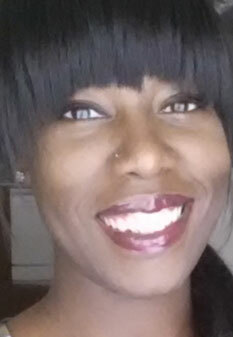 She specializes in Integrative Relaxation massage which incorporates Swedish massage, Thai Reflexology and Cranial Therapy techniques for total relaxation and balance. Rates are $85 for 60 minutes and $110 for 90 minutes. She also offers couples packages. You can contact Sherry directly at: (828) 768-1773 or sfieldslmt@gmail.com or request a massage when you reserve your room and we will have Sherry give you a call.